Ivan Skobrev has proven to be the world's ultimate blade runner in 2011, winning gold at the European and World Speed Skating All Around championships. That historic feat serves as a huge buildup for 2012 World Finals in Moscow and the 2014 Olympics. This sporting winter saw a huge improvement over last year for the 28-year-old Skobrev. 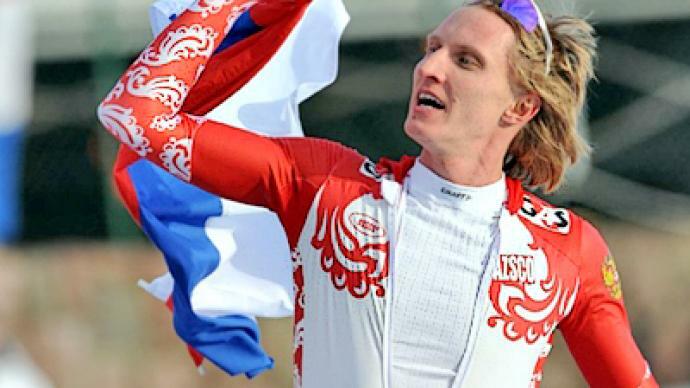 The Khabarovsk native did bring Russia their first medal of the 2010 Olympics with a 5,000-meter bronze in Vancouver. He added a 10,000-meter silver later, but those results were overshadowed by the team's poor overall performance. A year after Skobrev dominated European competition in Italy. The Russian posted the best combined time across four different distances to take the all-around crown. The speed skater repeated that feat on the world stage in Canada earlier this month doing enough in the 500, 1500, 5,000 and 10,000-meter runs. Skobrev believes becoming the first Russian all around world champion since 1987 could be more important than Olympic glory. “I tend to agree with the country's last World Champion Nikolay Gulyaev who said winning in the all-around means more to skaters than even Olympic success. That, of course, doesn't mean that I'm taking any pressure off myself for the upcoming Sochi Games. I promise to do the best I can there,” says Ivan. Gulyaev won 1988 Olympic gold on the same Calgary rink, where Skobrev achieved world glory this year. The 45-year-old sees a great athlete and also an excellent strategist emerging in Skobrev. So the two speed skaters are in agreement, but Skobrev still has plenty of challenges ahead of him. He will be focusing on adding a gold medal in Sochi to match his predecessor.